So, you live in a small apartment. Some of us may prefer to call it a cosy apartment. Well, it does not have to be a problem with these 10 practical steps. Make every corner count without the clutter. Do you know why small round tables are perfect breakfast nooks? Because they are fluid and blend well with any other shapes. They can also be placed anywhere. Thus, if you have limited space, it’s better to get a small round dining table rather than a large dining table. 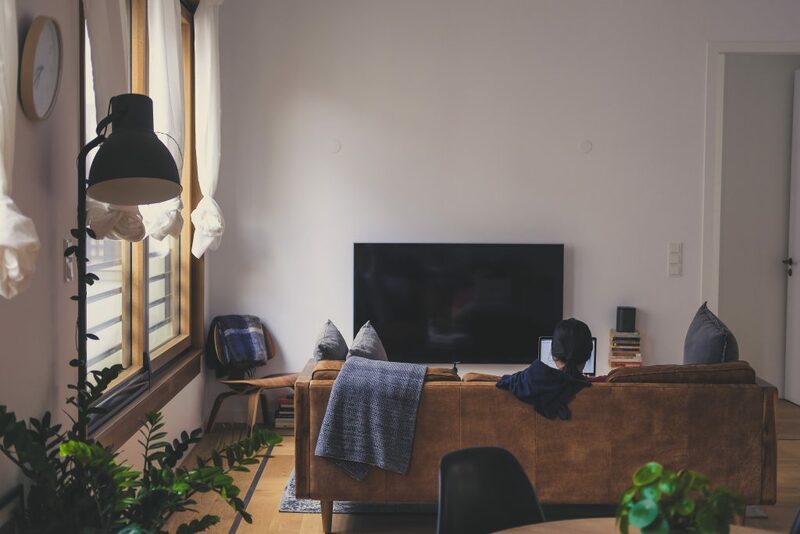 Although your TV set is a source of entertainment for you, it is also one of the biggest space hoggers in your space. Free that space instead for other purposes and mount your TV on the wall. Yes, you read that right. You might have thought that desks on a wall is a preposterous idea. But yes, you heard it right – you can mount your desk against the wall and use the extra space underneath it. You can also mount your shelves on the wall, a little just above your desk. The idea is to free as much floor space as possible. Want to double the size of your room? Use a daybed and see the magic unfold before your eyes. This multipurpose piece of furniture can create the distinction between work and rest if you decide to have your workspace in your bedroom. You can fold it up during the day and give yourself more space to work in. Later in the day, you can fold it back down when you’ve finished working as a reminder that work is done. A daybed in your living room can also come in handy when you have guests sleeping in. Designate an area for each of your activities. Where do you sleep, eat, and work? Establish each of these areas by separating them with chairs or tables that are strategically placed in the room. You can also set curtains or paint each of these areas with a different colour. You can use different variants or tones of the same colour family. 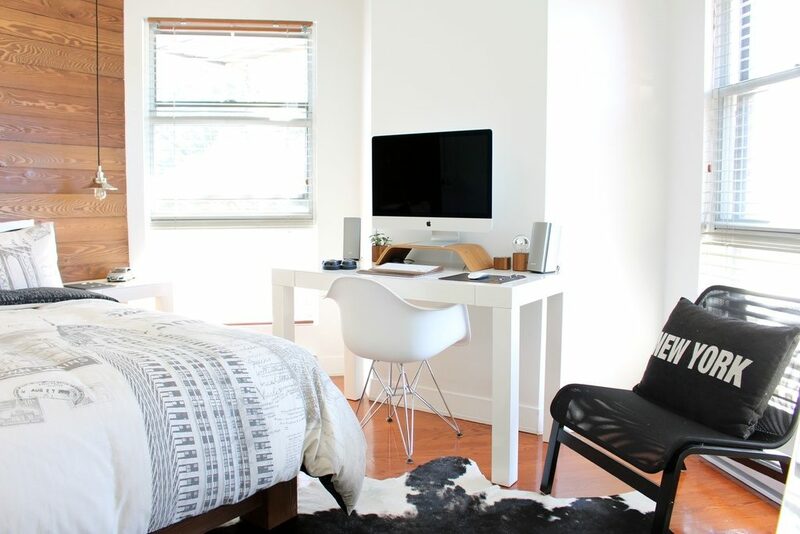 For example, you can wash your work area with a lighter shade of beige and decorate your bedroom with a warmer hue. Small or limited spaces will do better if there are lesser pieces of furniture in it – less clutter and more space. However, that does not mean you live in sparse conditions. Instead, look for pieces that can be used in another way like a coffee table that can double as your dining table or a sofa that can be converted into a bed at night. We love illusions. In fact, they are one of the most original design tricks. When it comes to illusions, there’s no other piece of furniture which can do this than the mirror. Place mirrors facing the window, so it reflects natural light and distributes it around the room. It can also create an illusion of width. Aside from that, the mirror can also double up as a decorative piece, so choose one with a sophisticated design. Even if you don’t have a degree in interior design, it is practical wisdom to plan everything you want to be included in your house rather than buying anything randomly just because they look beautiful. Even if a piece of furniture or decor looks nice, they may not be compatible with the general theme of your house, and your space could look cluttered because of that. When choosing furniture to buy, always think of how it can improve your space or complement the other pieces that are already there. For example, two smaller ottomans might be better in your bedroom rather than a large armchair. We often think that neutral colours are dull. They can be, but they are also the safest choices. And here’s more – they also give an illusion of a bigger space, just like the colour white. To make it more interesting, pair them with unusual patterns or a touch of funky colours. Finally, if you are loco over big furniture pieces, and you find more comfort in big, plush couches, there’s nothing wrong with that. You can still have these big pieces even if you are in a small apartment. The trick, however, is you need to limit them. The best way to do that is by creating a mashup with your smaller pieces, like a pair a small coffee table with a big armchair.